Hampton Chocolate Factory, an artisanal chocolatier with a flagship store in Westhampton Beach, has just opened a new outpost in Greenport. It’s a sweet addition to the ever-growing number of food and beverage producers that help create a uniquely local and delicious vibe here on the North Fork. 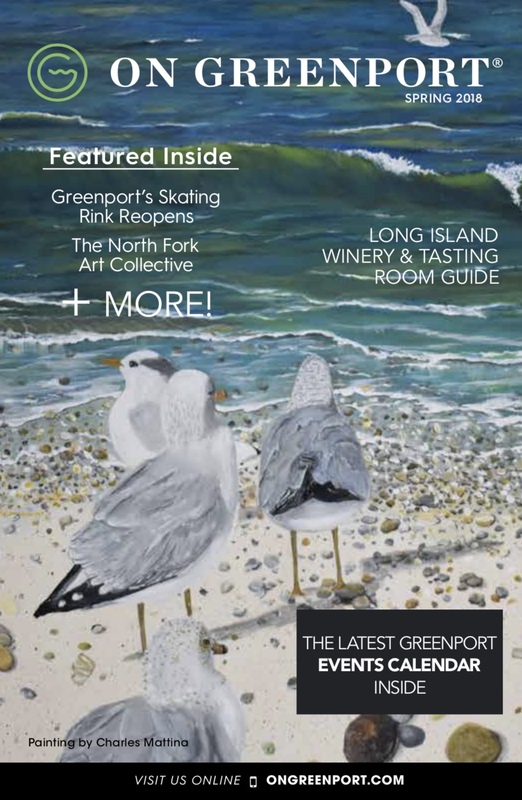 “Greenport is such a great village,” said Caroline Gappelberg, who started the company in 2014 with her husband Evan, a former Wall Street stockbroker, out of their East Quogue home. “There’s so much going on, it’s just exploding, and we want to be a part of it.” The new shop is down towards the harbor on Main Street. The confections are made in Brooklyn in collaboration with talented French chocolatiers. They can be found in gourmet food shops and wineries around the East End, throughout Long Island and in New York City. The fun and creative selection of treats is seemingly endless, from simple bars to truffles, nut dragées (a bite-sized form of confectionery with a hard outer shell), barks, chocolate-dipped pretzels, popcorn, gummy bears, and caramels in coconut, key lime, and dark chocolate sea salt. There’s even a “grownup” PB&J bar that apparently enjoys a minor celebrity following. The individual chocolate bonbons are infused with exotic flavors like raspberry, espresso, almonds, lemon-grass, and cinnamon, and some are even dusted with gold. They come in gorgeous shapes and colors, and, Caroline added, they’re all-natural, preservative free and certified kosher, too. Perhaps most popular are top-of-the-line boxed chocolates that make tasteful gifts. Caroline’s personal aesthetic and Fashion Institute of Technology background can be seen in the sleek, vintage-inspired presentation boxes. The Southampton Luxury Bonbon Classic Gift Basket, for example, contains a set of eight different chocolate bars, plus a tray of assorted bonbons and other items. Special packaging and labeling is available for events like weddings, showers and birthdays. Customizing with corporate logos is also an option. The business grew large and fast, but Hampton Chocolate Factory is still very much a family affair. The couple moved from the city to Quogue full-time in 2003 so that they could raise a family in a quieter, greener place. “We just love it out here,” Caroline said. “We believe very strongly that we want to be a force for good, too, so we give a part of our proceeds to the Peconic Land Trust.” The PLT is a land conservation group that works on the East End primarily to create legacies and partnerships that keep land in agriculture and open space rather than in the hands of developers. Caroline long wanted to own an independent business but still, find time to be at home. Her father’s death affected her deeply. It also motivated her to choose chocolates. “I needed to channel my energy into something happy and sweet,” she said. The small red diamond incorporated in the company logo is an homage to Caroline’s father. 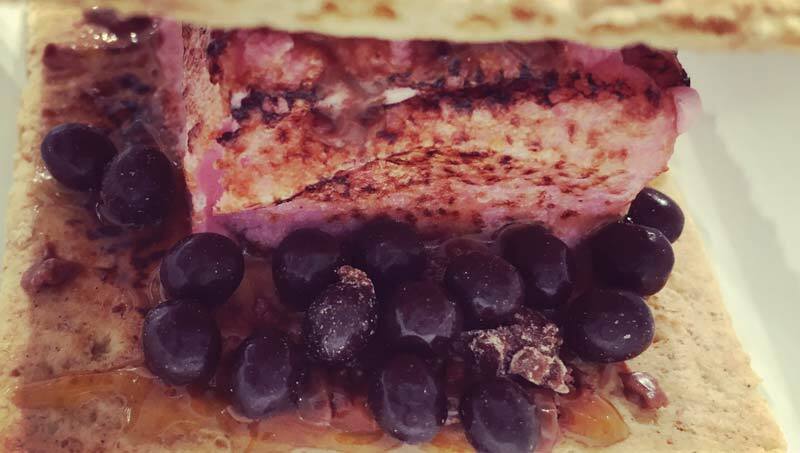 And speaking of family, if you’re looking for something special to do with the kids, here’s some inside information: Hampton Chocolate Factory is not just about high-end, grown-up chocolates. There are big, sticky, kid-friendly treats that can be found only on location at the two shops. There’s a line of ice-cream sandwiches that can be drizzled with a selection of toppings, and a S’mores bar where creative riffs on the classic treat are made to order on the spot, with all-natural marshmallows in vanilla, caramel, cherry and chocolate smooshed between chocolate chip or traditional Graham cookies and dipped in yet more chocolate and caramel. “It’s pretty over the top,” Caroline laughed.